Yes I know, ‘vintagely’ does not exist as an adjective… or as a word for that matters. Typos aside this post is all about my lucious oversized vintage cardigan. 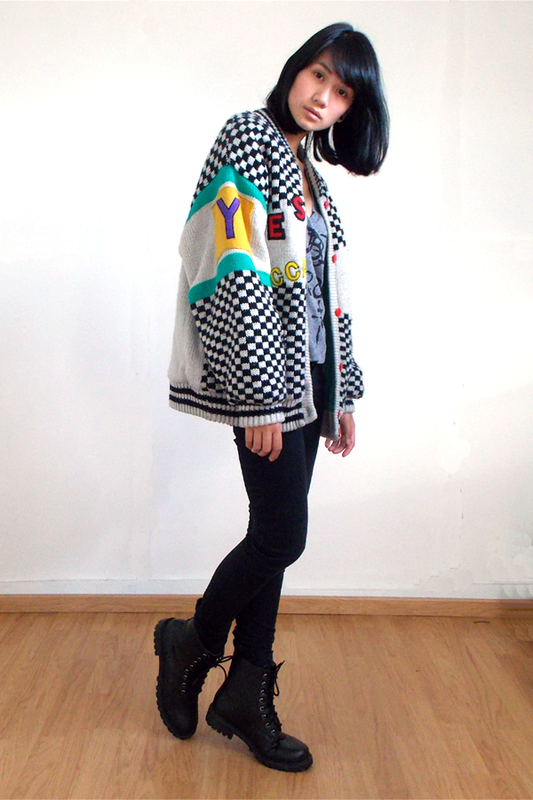 My cardigan was a find at one of my favorite ‘vintage/second hand store’ Jutka & Riska. The cardigan is actually thick enough to wear as a jacket when It’s not raining outside. I like oversized… Scratch that, I love oversized clothing. I love being able to swim in my clothes and it is also the reason why I love my cardigan! + the style has got me all wild up. With an oversized piece of clothing like mine, it’s better not to go over the top. Simple black skinnies and my trusty army boots will do just fine! Next Post Next post: Karl Lagerfeld in Antwerp! Your cardigan looks great!! I love the colors!! SUPER MOOI! Ik wil al KEI lang nog eens langsgaan bij Jutka & Riska, dat is tha booomb :D! Great look as always!! I love your cardigan!! Big kiss! 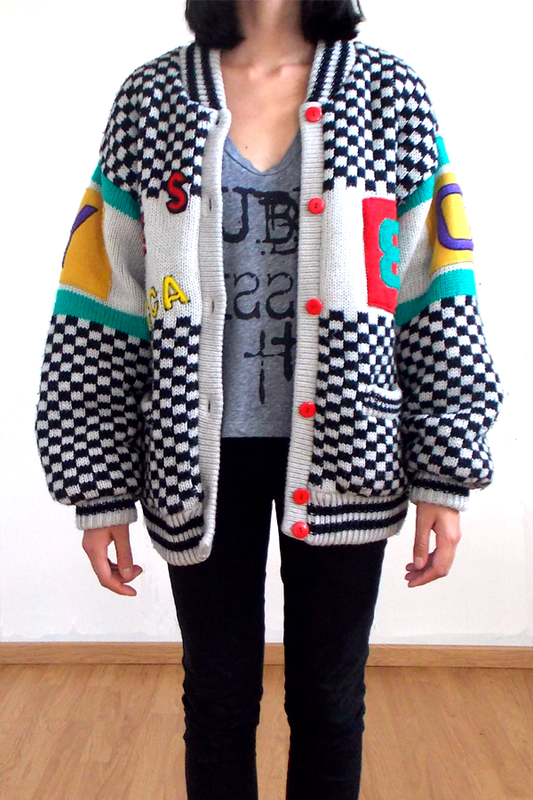 this cardigan/coat/blanket is amazing, love the print on it! I love this wonderful outfit.. 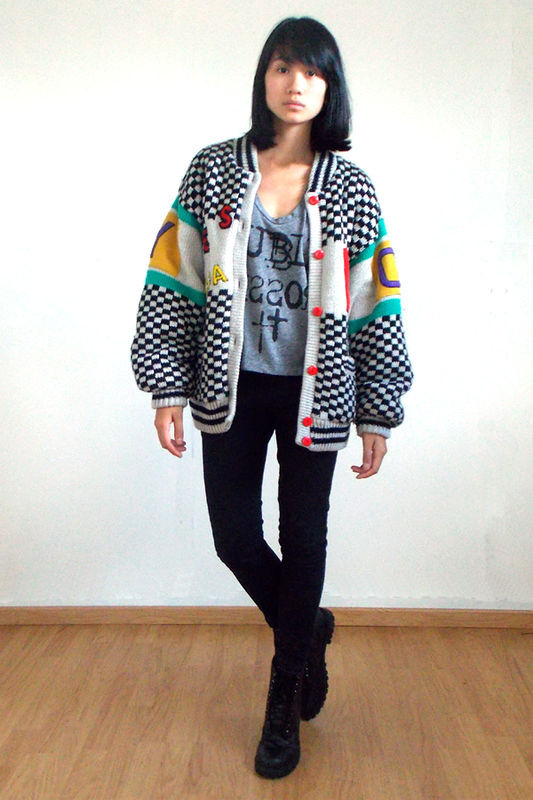 This cardigan looks so amazing, love it! 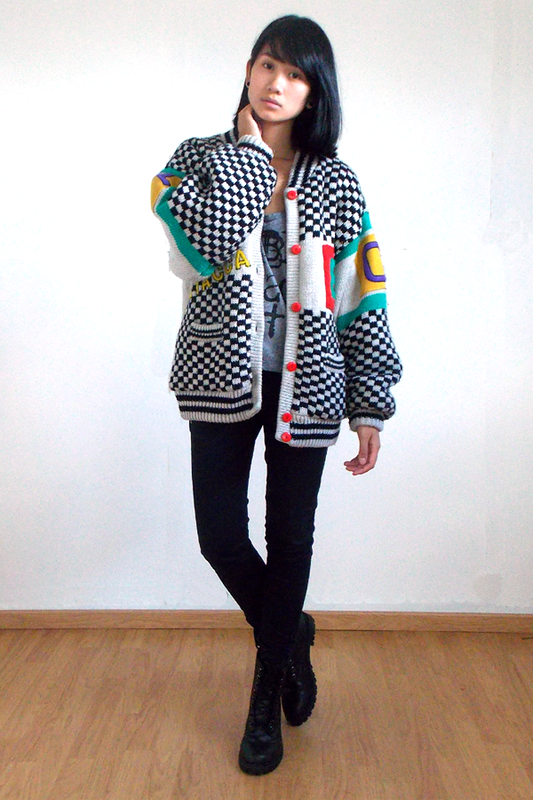 WOWWW… it’s beautiful, I love oversize and this type of coat..
Nice post! And a really cool jacket!!!! 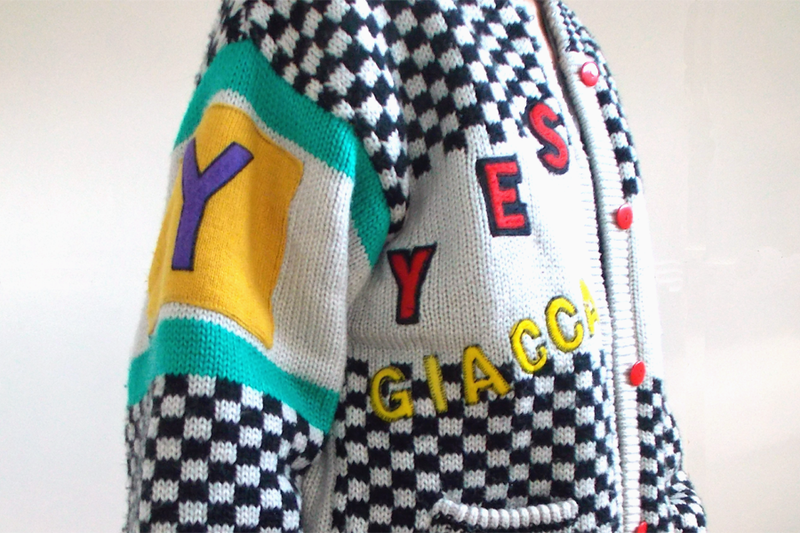 Wow, this cardigan is the best! you look awesome I love this outift! And i seems comfortable as well! Got inspired by your look and bought the same boots….